I recently received a special request from a customer to make steampunk rings with watch movement from a ring they bought somewhere else . 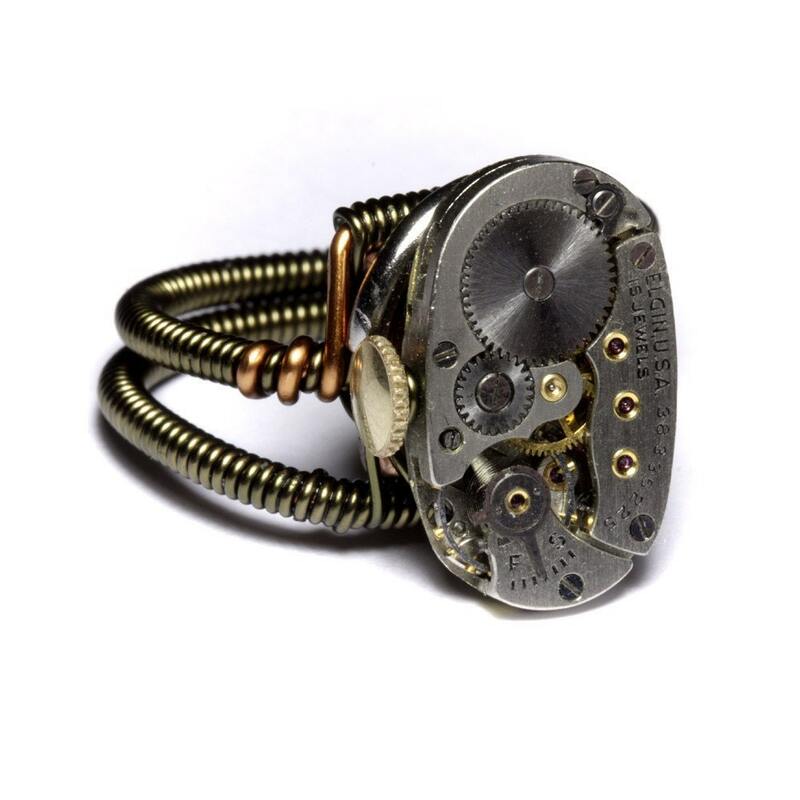 For a long time i did'nt want to make any because I'm convinced that i can make steampunk jewelry without having to always put gears and clockwork in them . There's many other characteristics found in the Aesthetics of Steampunk . 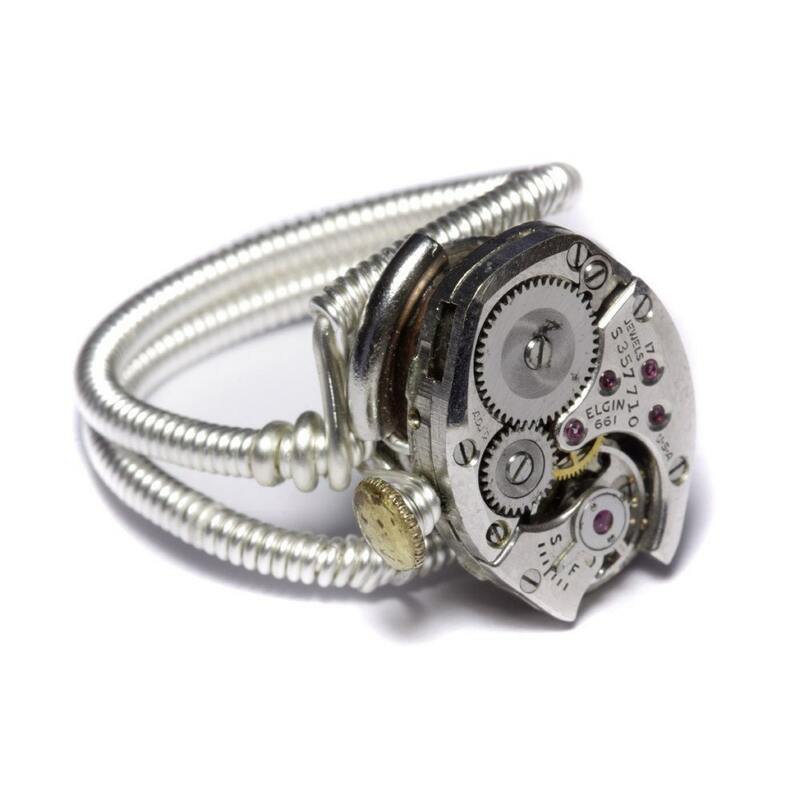 I see a lot of steampunk jewelry that are simply made from mass produced adjustable ring base with glued watch movement . I agree that it does look good but those adjustable ring base are far from comfortable . Also nothing of it is handmade by the person who glue them . So i decided to mix the idea of having a watch movement attached to my own Original design. 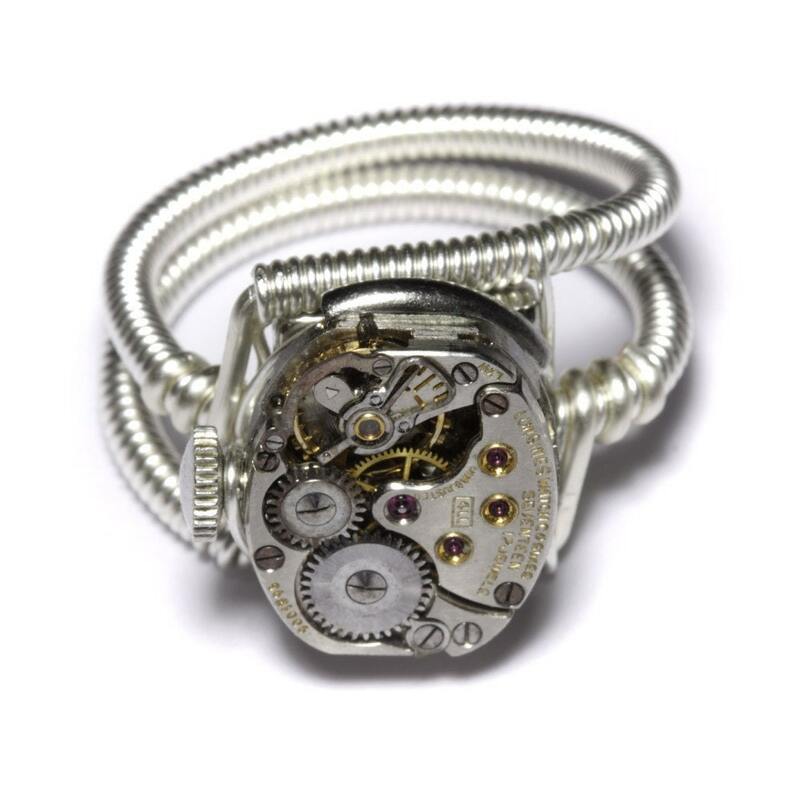 The band are made by hand using wire that i solidly shape into a comfortable ring . The rings are not adjustable but i can make custom size on request , just send me a convo on Etsy and i will make a similar ring for you . 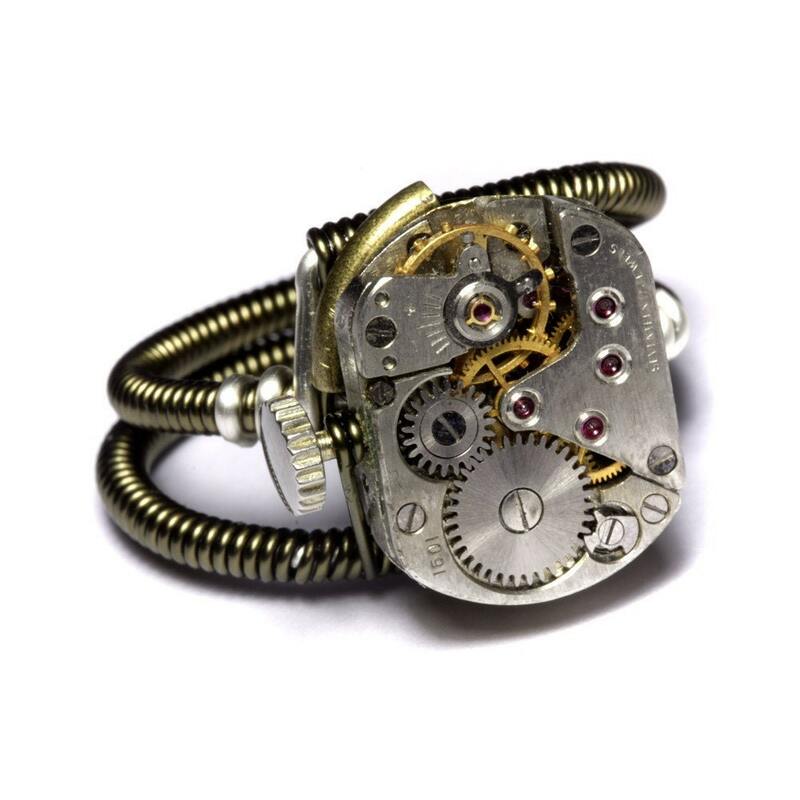 Do you prefer Steampunk Jewelry with or without watch movement ? I do like your ring bands.